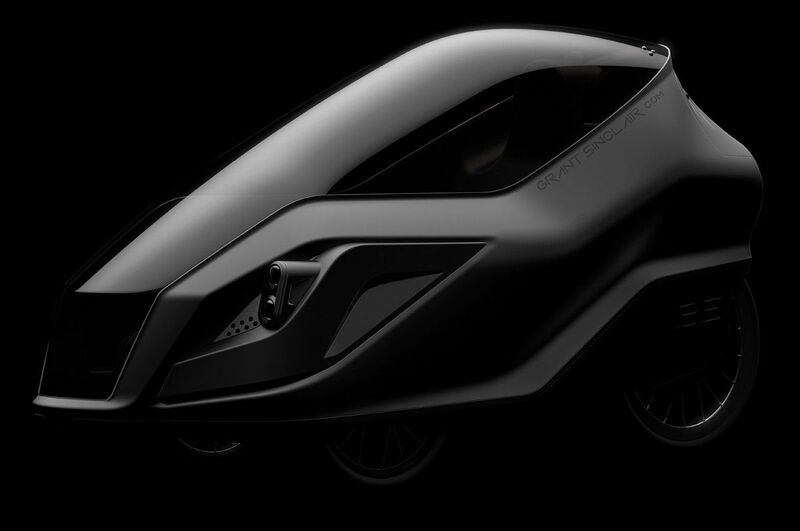 The nephew of Sir Clive Sinclair, inventor of one of the smallest electric car in the eighties, continues the work of his uncle and presents the Iris eTrike, an electric trike with body and pedals, so the driver can combine using the pedals with the small electric engine helping. This very useful urban vehicle is economic and secure at the same time. delivery starts at the end of 2017. The ultralight streamlined shape increases speed potential to over 30mph (approx 48kph). IRIS eTrike® has been developed to be a road legal, consumer friendly version of the world’s fastest, human powered bike concepts with body design inspired by aerodynamic helmets used for velodrome bike racing. The chest height, high level profile attracts attention from other road users. Next generation Quantum Foam EPP body material protects rider (similar to crash helmet tech used for skiing). Three wheel trike format makes riding safer in all weather. LED headlamps, indicator-repeaters & brake lights aid visibility. The lockable rear compartment can carry up to 50 litres. Ideal for personal shopping or business use e.g. Paramedics, express couriers or food delivery. Trike design means no balancing required. Rider can pedal or use the powerful mid-drive motor (controlled by twist grip throttle on handlebars) or a combination of both. Cabin includes a universal smartphone dock for GPS, music playback and calory count etc. IRIS includes a built-in rear view camera which streams real-time video to the riders docked iPhone® or Android® device. 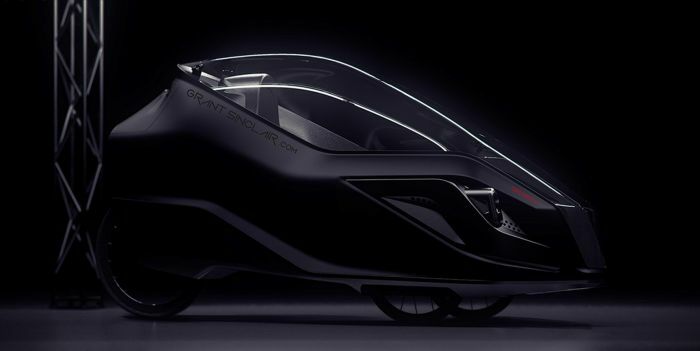 IRIS velomobile uses approximately 5p of electricity for 50km. 750+ watt mid-drive motor (150 Nm of torque) aids pedalling and is combined with low maintenance, 8-speed race bike gearing. Twin hydraulic disc brakes provide maximum stopping power. The Trike uses a removable lithium-ion battery with a capacity of 48V 20Ah that provides a range up to 50 miles on one hour charge. High level upright bucket seat is part of body moulding and has been designed using metric data from proven ergonomic chair layouts. IRIS eTrike® keeps you warm and dry.